Healthy teeth and a healthy diet often go hand-in-hand. People who eat a well-rounded diet are more likely to get the nutrients their teeth and gums get while people who have poor dental health may struggle to eat a healthy diet with sufficient amounts of fibrous fruits and veggies. According to a new study performed at Case Western Reserve University School of Medicine, the connection may go even deeper and link fat cells to the onset of dental health problems such as gum disease. This study included more than 30 people who were obese and suffering from complications of gum disease. Half of the study participants underwent gastric bypass surgery. The other half of patients had lower average BMIs and did not undergo weight loss surgery. All patients had deep cleaning procedures known as scaling and root planing, which removed plaque and tartar buildup from their teeth, and had dental hygiene counseling to better manage their oral health. At the conclusion of the study, all participants had improved gum health. However, the group that had undergone gastric bypass surgery had significantly less periodontal bleeding, reduced plaque accumulation and improved periodontal attachment. Researchers believed this was due to the lower numbers of cytokines, which are linked to insulin resistance, but they recommend further research to explore the connection. Weight loss is not always easy, and doctors generally recommend making permanent lifestyle changes rather than going on temporary diets. 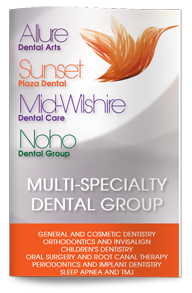 Our dentist in West Hollywood can help you better understand your options. 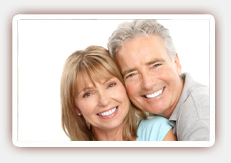 Contact us today to schedule your consultation.